What is the difference between soundproofing and acoustic room treatment? 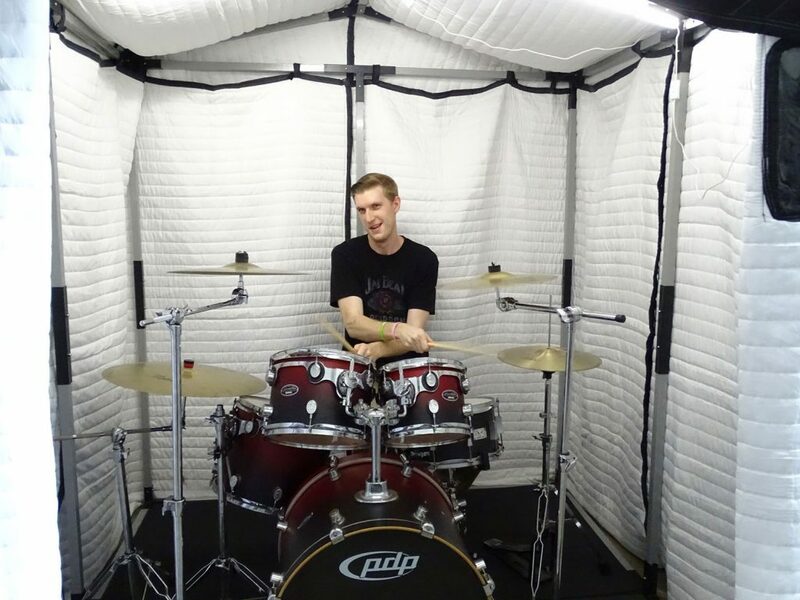 When building a home recording studio or a vocal booth, it is important to understand the different approaches one needs to take when tackling soundproofing and acoustic room treatment of the recording space. The first thing people do when they get into the audio recording business is purchase recording equipment. Instead, they should consider spending their money on things that don’t make a sound. If you are converting a closet into a voice over booth, building a DIY vocal booth in a garage or turning a bedroom into a recording studio, investing money into the room itself may be a very good idea. It boils down to this: you need to take care of acoustics and/or soundproofing because if you don’t, you will have a problem with noise. Noise problems related to home studios and neighbors in attached houses. Noise caused by a flying jet or lawn mower. Noise from family members or the dog. On the other hand, YOU will make noise too! Sound can be leaking from your own production and disturbing the neighbors, which can cause complaints, tense relationship with family, neighbors, and welcome police visits. A lot of people find out too late that the acoustics of their chosen room causes problems in their audio recordings, either by coloring their recordings or distorting their monitoring perspective. Soundproofing and acoustic room treatment should be looked at as two completely separate, but equally important projects. So what is the difference between acoustic treatment and soundproofing? In essence, soundproofing is reducing the sound pressure between the source of sound that is generating the actual sound pressure and the receiver of the sound (microphone, human ear). In other words, soundproofing means that the sound has to be stopped from leaking in or out of the vocal booth. In other words, your recording studio needs to be isolated from the outside world. Volumes are written on the subject, and it still remains a hot topic. Why? Mostly because it is very difficult to achieve considerable soundproofing without considerable investment but people keep trying . . . .
Sound isolation works the same both ways, so there’s no difference in approach to keeping sound in or out. Therefore, recording studio soundproofing is more straightforward and can be easily described and understood from standpoint of physics of sound and building materials. On the other hand, acoustic treatment is a more sensitive subject, and it involves a lot of âWoo-Doo scienceâ. What this means is that acoustically treated room sounds differently INSIDE the room. The goal of acoustic room treatment is not to prevent the sound from getting in or out but to manage the sound generated inside your room by the music played or voice to get a clear audio recording or have a flat listening room. Why it is called âWoo-doo scienceâ is because acoustic treatment takes lot of âtry and see techniquesâ and the degree at which one can call it a success is very subjective. Some of the factors to consider when taking on an acoustic treatment project includes room size, room shape, building materials used to build the room, objects within the room/studio, position of the microphone or listener, position of the source of sound, and other considerations. The main goal of acoustic room treatment, in the context of a recording studio, is to record clear sound without unwanted noise. Goal of acoustic treatment, in terms of a listening room, is to get the acoustic quality of the room from a listener’s point of view to be able to hear the music as it is intended by the artist. Therefore, when planning to build a recording studio one must first consider acoustic room treatment (shape and size of the room), then the soundproofing (materials and location). But, when building the studio one must first address soundproofing and only after recording studio is built, do the acoustic treatment. This entry was posted in Acoustic Room Treatment and tagged Acoustic blankets, acoustic room treatment, acoustic treatment, bass trap, isolation enclosures, mobile studio, portable vocal booth, practice room, real traps, recording booths, recording studio, sound blanket, Sound blankets, sound booth, sound isolation, sound isolation booths, Sound proofing, sound recording studio, sound room, soundproofing, vocal booth, vocalbooth, voice over booth.